Guys are still pretty damn stupid. Actually that can sum up EVERYTHING about dating. As my friend D says, 'Boys are dumb." And ya know? She's right. So this is for the guys. About what NOT to do. Now, to most of us, this seems perfectly obvious. I do not parade around in my altogether. (Except in very privates places - like the shower - where there are NO cameras.) I am not a cute 20-something with a hot bod anymore. Guys - if you are over 50 and looking for a date, please do not subject us to nakedness. It's not cute. You sag! Prime example of a non-dater showing off his body to "impress". Ladies, aren't you impressed? Are you all hot and bothered by this? Is this the glory of Mother Russia? Hell no. 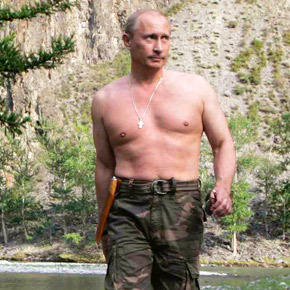 Put your damn shirt on, Putin. Ahnold. How the mighty have sagged. Yes, it's the mighty Arnold Schwarzenegger. He was once cute, in a muscles-in-your-eyebrows sort of way. Now, gravity has taken its toll. Yuck - I do not wish to see this. Put your damn shirt on, Arnold. And just as the rich and famous (those who can afford a personal trainer) are now old and kinda floppy in parts, so are the rest of us. Or more so. Bub, I know you like the beach. And you're either oiled up or sweaty. But I don't want to see it! Ew. Just ewww. We know you guys like to be fit, but most of us are not impressed with the sweaty look. Or skimpy shorts. There are several levels in which this is wrong on a dating site. First, he's shirtless. Secondly, he's shirtless with an attractive young woman in a bathing suit - and this picture is this goober's profile picture! Who is she? We don't need competition. Dude, you're 70. Put a shirt on. You're ruining the view. So guys - PUT A SHIRT ON!!! I got my first contact from NotreHours the other day - a guy calling himself Mayberry Don (Not his real name - won't do that!) contacted me. These sites can send various starters - a flirt, a smile, a rose, a kiss, HowYaDoin. So Mayberry Don sent me the first message. I looked at his profile, and he looked ok. Divorced, no kids, professional, lived nearby, Christian. What the heck? "I'm in real estate and a cattle rancher"
Not into cattle, but ok on the real estate. What else? "Want to call me anytime tonight 999 555 1212"
Um, no. A little early. I responded with "Why don't we chat online for a moment first.." Because he could be a creeper. So Mayberry Don gave me his email addy and requested to chat that way. OK, whatever. Here is the transcript, only edited to protect the guilty. MD: What's your name and what do you do? 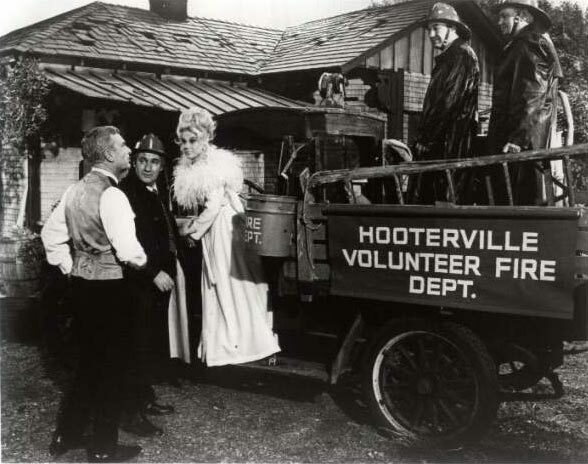 CM: I'm Crazy Mom and I work in IT in Hotlanta, I live in Hooterville. CM: What kind of real estate do you deal with? 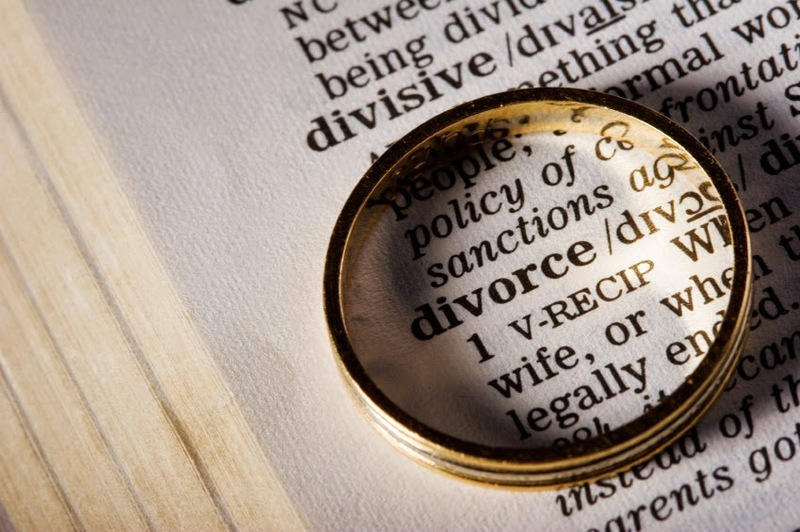 How long have you been divorced? I hope it was fairly amicable. CM: I like to travel but don't get many opportunities. I was in Charleston last weekend visiting family. I had recently the opportunity to spend a week in London, but couldn't leave my teen unattended that long. Besides it's kinda cold and yucky there at the moment. CM: Sorry - work has been too busy for travel. Payroll week plus interviews. I Skyped with someone in Bulgaria today for a position in London. Yes, I'm romantic. Travel for me is Paris. CM: Of course! Very! I don't play games or withhold affection - that's childish. CM: Please tell me a little bit more about yourself. CM: Not very talkative, are you? 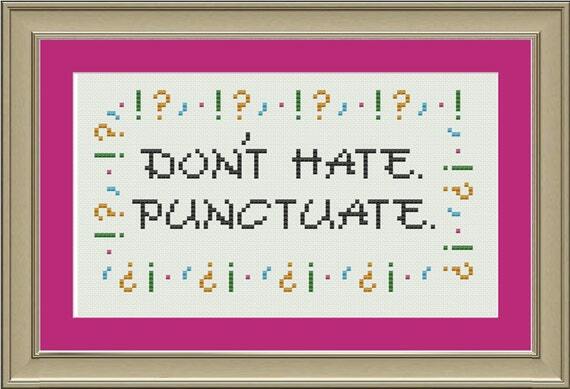 Surely there's a little more to you than just shorthand facts! At this point I gave it up on the email. And I went to the phone. And what did I find? He was NOT better on the phone. It was like pulling teeth to get him to say anything. Dental surgery would have been more pleasant. I did find out that he's sho 'nuff wealthy. He owns over 100 single family homes, and has a staff to take care of things. But how his staff gets direction is beyond me - maybe they are mind readers. And when he found out that I may be moving from Hootervile, he immediately invited me to move into his three story house. I then politely ended the conversation and bid adieu to Mayberry Don. So what's a newly single 57 year old woman to do? Jeez, it's not like I could go to the frat parties and mixers like in college years. Most of my friends are married. And most of the single guys I know are, um, not my type. I think that's the kindest thing I could say about these folks. No joke, the fire department used to get cats out of trees until 1980. And the police will STILL come and unlock your car if you lock your keys in. I know this to be a fact - I have used this service. There are several large families here who everyone's either related to or is best friends with, and they run EVERYTHING. As I am more cosmopolitan and pretty liberal, I don't think I'll find someone here. Because I believe in things like people who love each other should be allowed to marry and I think drinking is ok and I think that we should help folks who look different from us - so I've been sorta run off from my church. I am too radical for them. Also, I don't take myself too seriously. I signed up for eDiscord and NotreHours. Woo-hoo! I'll be matched in no time. My Prince Charming awaits. You would not believe the losers I have been matched with - and mostly by eDiscord, who advertises how well they consider your wants and personality. HA HA HA. The guy has signed up for eDiscord at some point in the past 5 years. He may NOT be an active guy. The person lives within 150 miles of me. This is sometimes not true. They have listed some sort of Christianity as their faith. This is OK on the surface, but tougher in fact. When the guy signed up, he was above ground. He wasn't dead. Might be 85, might be 35. Most of these guys are losers at first glance. Here are some highlights, actual profile shots. The undertaker position has been filled. Do not inquire further. Don't you live at the North Pole? That's not near Hotlanta. I already gave money to the local homeless shelter. Didn't those perms go out of style in the 80's? DATE ME OR I WILL F**K YOU UP!!!!! After 28 years of marriage and 3 kids, I called it quits. I just couldn't do it any more. I felt that I was lying to myself if I went further. To me, we'd been roommates for a long time, which while a lot better than some folks, does not a good marriage make. Divorce is not something that happens in my family. My parents were married 52 years before Daddy died. My sisters have been married 30 and 26 years respectively. My aunts and uncles and been married forever. I'm a good Southern gal, we don't DO divorce! But things change. DH The Ex had some things happen to him that were awful, and some were completely beyond his control. And those things changed him - and I felt he wasn't capable of being there for me. He's not a bad guy. Really, he's not. 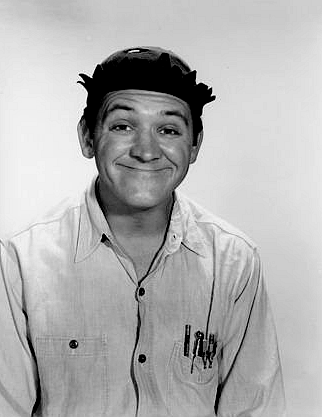 He's smart and funny - he still makes me laugh. I hope we can be friends always. But I can't live with him. Not anymore. I'd propped him up from a LONG time, and there are times that I need propping up. Let's face it, everyone needs some propping up from time to time. 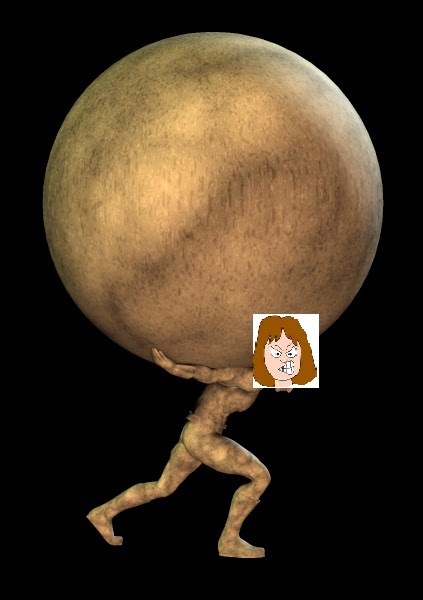 I just got tired of feeling like the female version of Atlas. Yowza, that's a lot of crap to be holding up with no breaks. So, I examined my options long and hard, and I called an attorney. Fortunately, we got this done pretty amicably and very quickly. DH The Ex and I are on good terms. truly we are. I don't hate him and I harbor no ill will towards him. I will not say bad things about him to my boys (The Stooges) nor to my friends and family. His mother still calls and talks to me. I forbade my mother from saying anything bad about DH The Ex. His buddies still like me. As far as my divorce went, the only person that really seemed surprised about it was DH The Ex. The boys saw it coming. My family saw it coming (my mother had begged me to do this previously and I refused). My friends saw it coming. In fact, the reaction of some of my friends was "Oh, thank God!" DH The Ex was initially furious. For some stupid reason he was most mad at me for telling this to him on Father's Day. Now, we had never made a big deal of Father's Day before. And Mother's Day was almost ignored. I think he was grasping at straws. But now we are better, and things are in a new normal. So now - Adventures in Dating Land! Single working mom of 3 boys (the Stooges - Larry, 26, Curly, 22, and Moe, 18), who's lucky to still have most of her hair and some of her brain cells left. With a really warped sense of humor... And no, I don't have any tattoos!